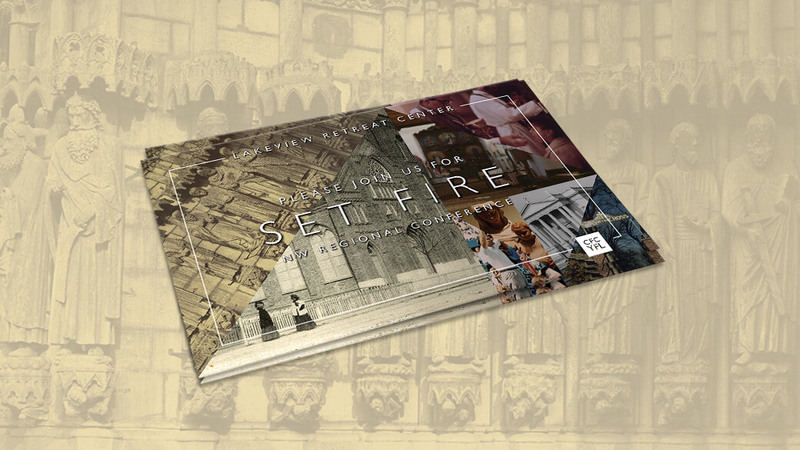 Set Fire was a weekend-long Christian/Catholic youth retreat that encouraged an exploration of faith through reflection, perseverance, and service. The weekend included speaker-guided sessions, reflections, and discussion groups to bring ideas and inspiration to both the service team and participants. A double-sided card designed to have a hand-written message on the back. Leading a small team of volunteers, I worked on all the digital and marketing components for the conference. 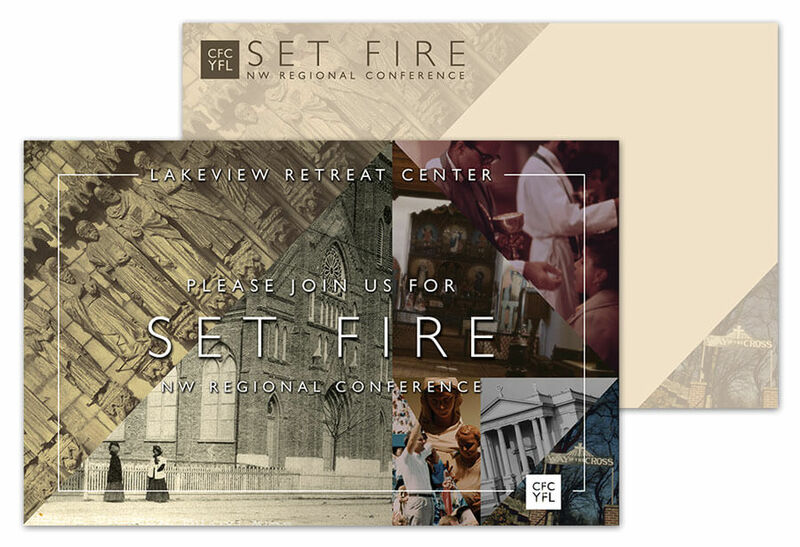 The postcard was the initial marketing piece that helped set the visual tone for the rest of the conference. Wanting to make a personal touch for each person invited, the backside was designed to allow a handwritten message. 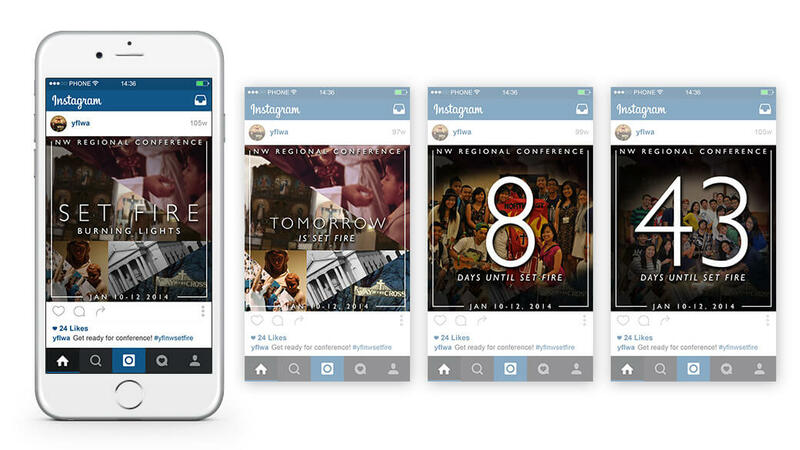 Other components I designed for the conference was a set of Instagram posts, a crew neck, and a name tag. Instagram was regularly used to count down the days to Set Fire. Since the event was local, personal photos were used to evoke nostalgia and a sense of community. 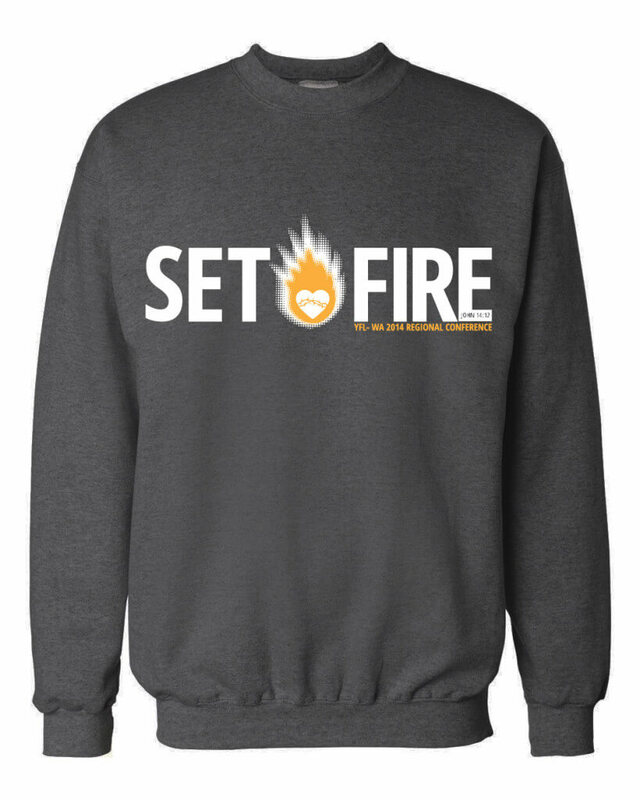 A 2-color crew neck with Jesus’ Sacred Heart as the center, symbolizing the call we receive in our service that sets our hearts on fire. 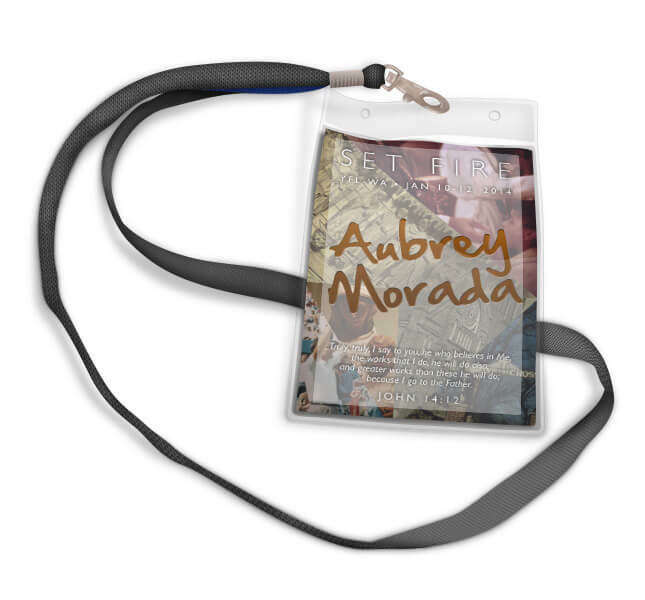 Name tag with the full retreat verse. Intended to be used for walk-ins, black or metallic sharpies were used to write participant names.